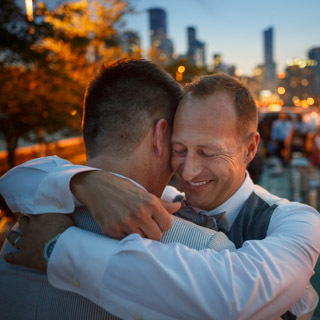 Chicago Gay Wedding Photographer Testimonials: What real couples in Chicago, Illinois, the Midwest and beyond are saying about our amazing wedding photography. 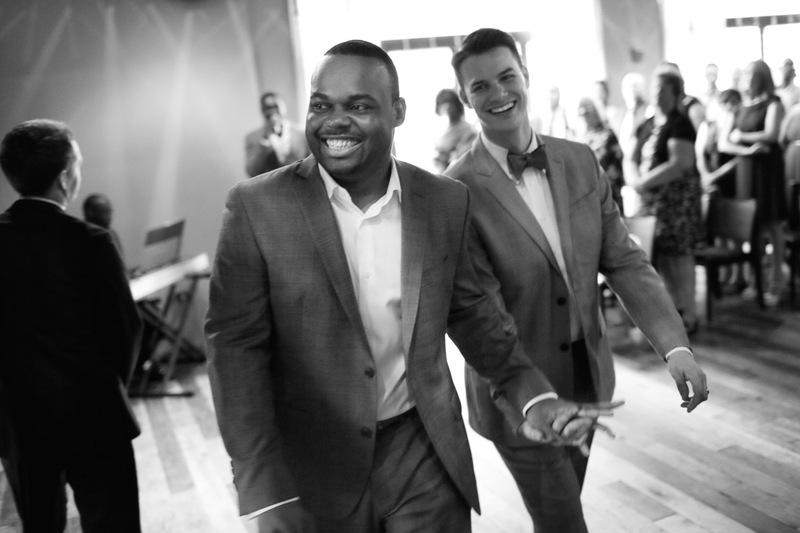 “I found John online when we were looking for photographers for our July wedding. We looked at a number of different sites, but we were both really drawn to John’s work as posted on his web-site. We contacted him, via e-mail, and immediately found him to be responsive, friendly, and easy going. We set up an appointment to meet him soon after. If you want a photographer who is going to take the standard, posed, multi-grouped wedding photos, John may not be your guy. Not that he doesn’t take photos of any groupings etc. that you request, but his real talent lies in getting beautiful candid shots throughout the event. We asked him to take a few posed, close-up photos of our ceremony (because we requested he stay behind the guests at the ceremony so as not to cause disruption), and then a few posed family groupings. After that, we just let him go on his own. He was so calm and easy going…most of the time you didn’t even know he was there. He captured all the happenings (cake cutting, toasts, first dance, etc.) but more importantly to us, he captured so many wonderful candid moments and faces of family and friends. I have beautiful shots of them that I truly can’t wait to share with them because their faces are so filled with emotion. 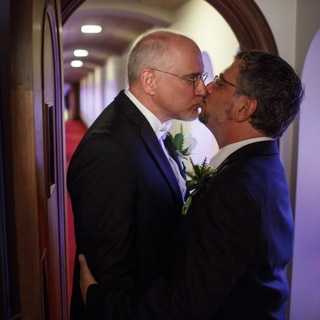 I was also concerned that our photographer be comfortable shooting photos at a gay wedding, as I wanted them to show the real love and emotion in our relationship, and some photographers are just not yet comfortable enough to know how to do that. Not a problem with John. 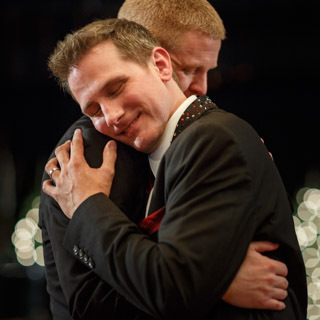 He has had much experience shooting gay weddings and it shows in the depth of his work.